But first, Jensen Ackles // Dean Winchester is so damn annoying. He is absolutely breath-taking. I have been fairly too excited to write this out. First of all, because Ally has been so kind to award me this and that itself is such an honour. Thanks, Ally! Secondly, Ally's questions are exciting! Ally's blog filled with beautiful and refreshing poems, short stories and even haiku. Go check them out. By the way, sorry for not writing this sooner. I was keen on finishing the week "A Post A Day - 7 Days Topics To Go" before posting anything else. 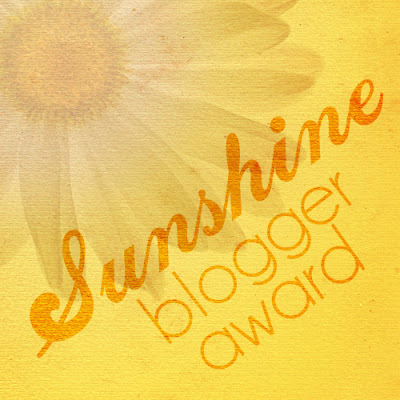 First thing first, Sunshine Blogger Award is an award given to those who are inspiring and brings rays of beaming sunshine into your life. You can award this to anyone. It doesn't even have to be a blogger. There are some few rules as well. Ok, the most awaited moment. Answering Ally's questions. Yay! 1. Will you be volunteering for any Mars expedition program? Of course! I'm not sure if I will ever be fit enough but if I got the chance, I will freaking go for it. Maybe plant some potatoes like Matt Damon does. Eheh. I consider myself somewhat adventurous. Walid isn't so keen to just let her daughter wanders around so if he say no, I am not going to be adventurous and disobey him. Walid has taken us to lots of places around Malaysia so I become somewhat reluctant when my friend have asked me to go somewhere with them when I have been there. I'm quite sure they thought that I'm such a dork and boring person. It is fun to be spontaneous and I even have my fair share of being spontaneous with them but once they are like that and want to go for Bukit Tinggi. I seriously not being that excited for Bukit Tinggi (thus declining their offer) simply because I thought being home and do nothing was far exciting than a day trip to Bukit Tinggi. I am so lame. Yes I do. If I got the chance, I would love to have a good partner in crime and travel the whole world. Europe would be a great choice for backpacking kind of long adventures but if it's going to be a short one, I would choose Japan first. Solid 5. Something wasn't going to be much important if you're being too curious about. Some things actually work better if you didn't be too curious and has to know everything. So, 5 is like the best curiosity level for me. I will choose either I have to or not to be curious. I write a whole essay about how I deal with things to regret over which suited this questions. I try not to allow myself to be too disappointed. I will learn my mistakes and agree I do that mistakes but I choose not to disappoint over it. I believe in not being disappointed because I want Him to know I trust Him and that He can never do any wrong choice in deciding what will happen to me. What important is what do I do next? I'm fairly patient but for the right reason. I am seen to be easily ticked off with my little sister's behaviours but actually, I want to discipline them. I am not going to let people trample over me for the sake of being patience as well. I aspire to be the one who waits for others. I hate people waiting for me because I don't want to waste other people time and effort. How about every one of it? Stars are beautiful. It can be the only one in the sky and still such a jewel. It can be scattered messily all over the sky and still absolutely just gems. I do. Sometime I even thought blogging is a waste of time. But I'll reason it out each time I feel such way and I will stop doing it if it truly does a waste of time. I'm not that sure and I am the kind of girl who just rolls with whatever. But there better be some flying cars and please don't be that dull place those science fiction movies always portrayed. 11.Do you have something that you know it is old and worn but does not want to replace it? I don't. If it truly worn out, I would throw it. I never have anything I particularly attached to except for my late mother's bracelet. We agree to never sell it. Does gold get worn out? Thank Ally's, answering this question itself has been a great journey. So, it's time for me to award 11 bloggers for this post. Here are the awesome 11! 1. AllyLMare // Write Ally! Write! I am not looking for traffic but I really really want to see someone like Anwar Hadi answering my questions. Anwar Hadi, if you read this, I didn't even that interested to read your books but there is this event at UKM that allow us to borrow books and I found your book. I was like "Oh he has a book, it is free to borrow so why not". I love it. You are an interesting person. You don't have to link me back. Nonetheless, he does fit my idea of Sunshine Blogger. Just introduce yourself in five words. I put so much work researching the good questions. Have fun! Omg thanks for noticing, I didn't have the time to notify you. That is even better reason not to have anyone waiting for us huh? 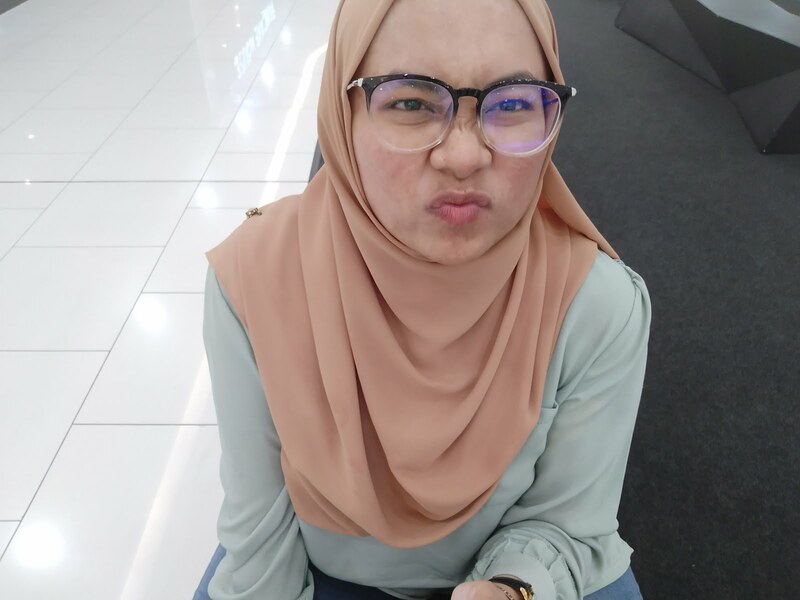 Hi Afifah! I'm surprised that we have things in common. It's always my dream to travel the whole Europe and Japan! And gold can get dull unless you clean them. Surely, I'll answer yours later. All the best! That is some good things to have in common for. Haha. Anyway, thanks for answering and now I shall clean them then. I owe a lot of tag entries like the one from liyana and fatina. I blame this on my lazy nature and never ending procrastination. On a side note, anwar hadi writes great posts so it'll be interesting if he does do the honour answering the tag. Thanks for tagging! Gotta find the right time to answer the questions! Your welcome and hope you would find the time soon. Followed you and salam kenal. I forgot that constellation names too. To be frank, I never really try to join the dots and find the shape out of the stars. I'm horrible at it. It's nice to know you as well! My curiousity level is 10..! haha.. Thanks for tagging me.. Will do this when I found the right time.. hehe.. It'll be interesting to read your answers to my questions as well. I unexpectedly interested with Q4. Haha. I was a very good stalker and honestly I could get so much information by searching around. But, there was one point I realised I need to stop this. It doesn't benefit me and I don't want to be a creepy girl. Haha. please don't be creepy haha, I can't believe you actually write it. I'm checking it out!